The CLDC is providing a Know Your Rights Training on campus open to all members of the community. Learn what your constitutional rights are and how they apply to protest, direct action and demonstration. Learn the “magic words” to say while interacting with law enforcement and ICE in order to keep you and your friends safe. We will walk you through the legal system and what to expect if you are arrested. 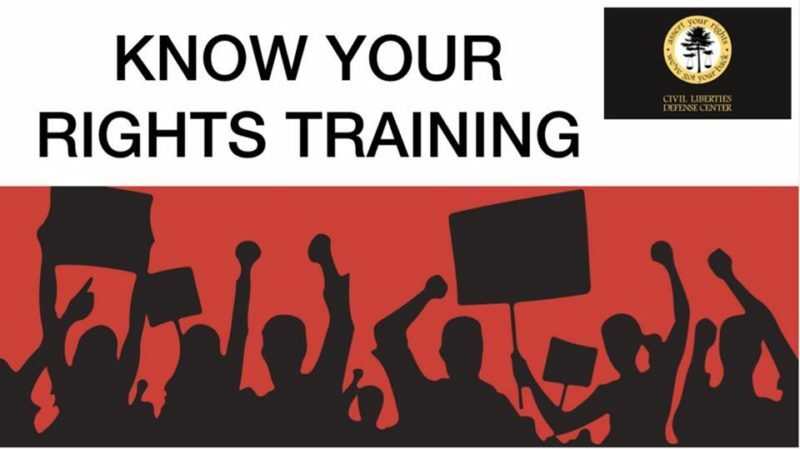 Finally this training focuses on ways the government and law enforcement try to suppress our movements, and how you can stay resilient to repression. Please join us for this training and gain the skills necessary to protect yourself and your community!